Every interior can benefit from warm, wooden tones to fire up those cold winter nights. 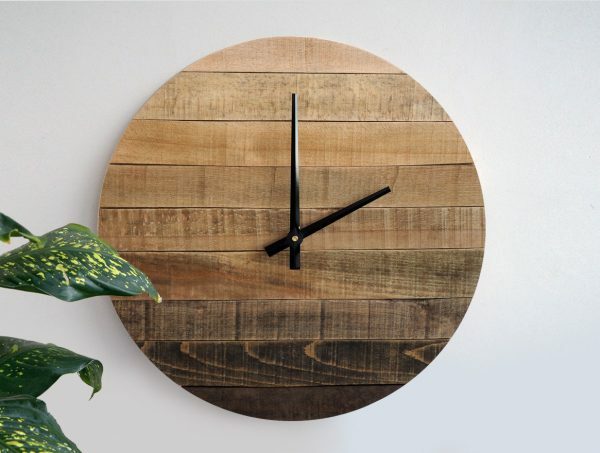 What better way to inject the rustic than with a wooden wall clock? 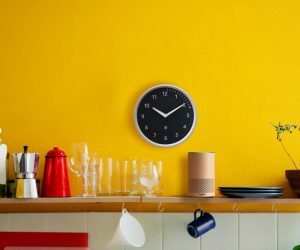 Themed, Scandinavian, unbranded or for the kids, these thirty-four clocks add interest and a smile to a wide range of interiors. Rustic homes are greeted by a rough-shod partner; minimalist spaces find desired clean lines and white faces; contemporary, art-deco rooms find a clock with a bit of cheek on its dial. Whatever you, your family or friends find under the tree this Christmas, there’s something within our pick list to sit above your fireplace, kitchen, dining table or bedside. Wooden City Skyline Clocks: Rather be in New York, New Delhi or Paris? 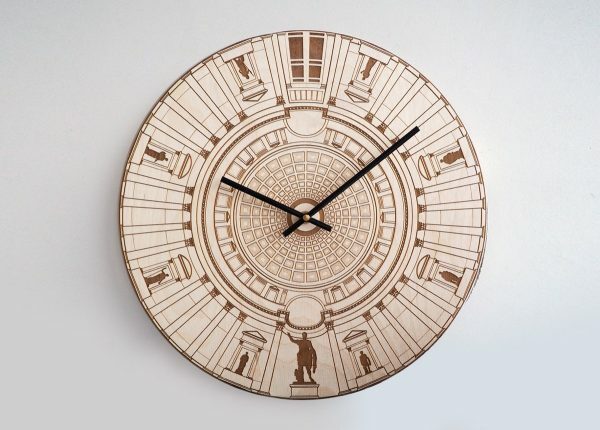 Imagine their time zones as your own in these carved clocks for your kitchen. Piece of the Pie Clock: Looking for your share of family time? 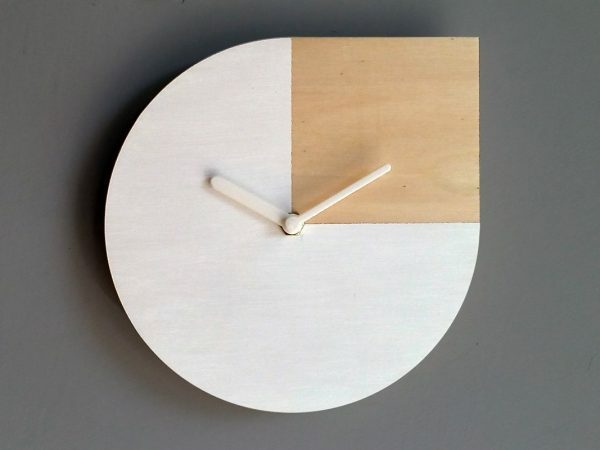 Take a slice with this minimalist white-and-wood clock for the living room. 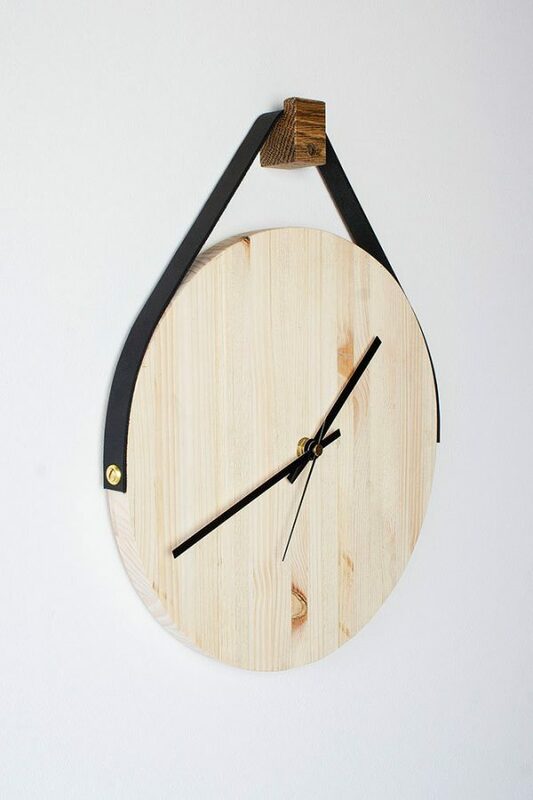 Wooden & Concrete Clocks: Go industrial with this range of wood and concrete clocks, each set with simple black hands. They’ll mirror the bench in your kitchen. 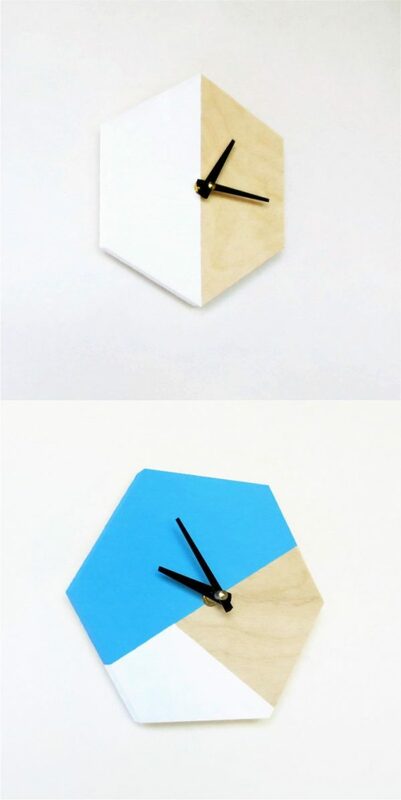 Painted Wooden Hexagon Clocks: Take a geometric angle in bursts of blue and white, with these numberless units on your study wall. 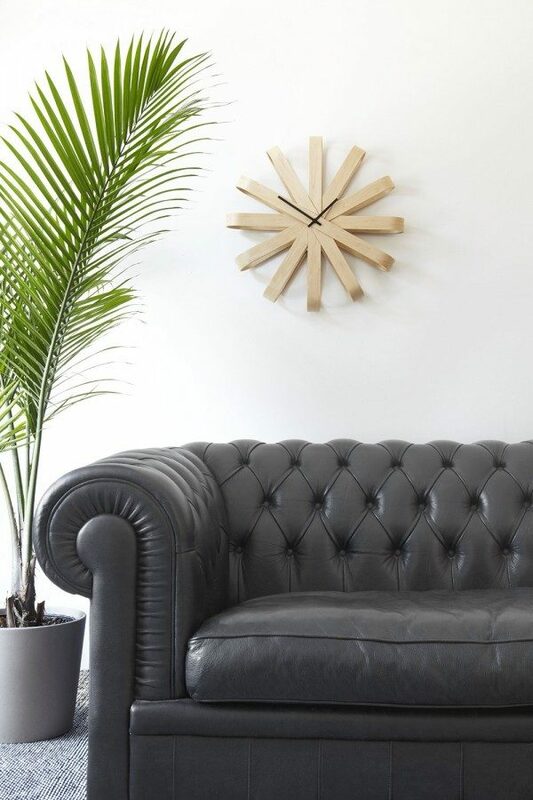 Hanging Wooden Leather Wall Clock: Ditch back-of-the-clock hanging fixtures, as this snazzy leather strap latches onto your hallway. 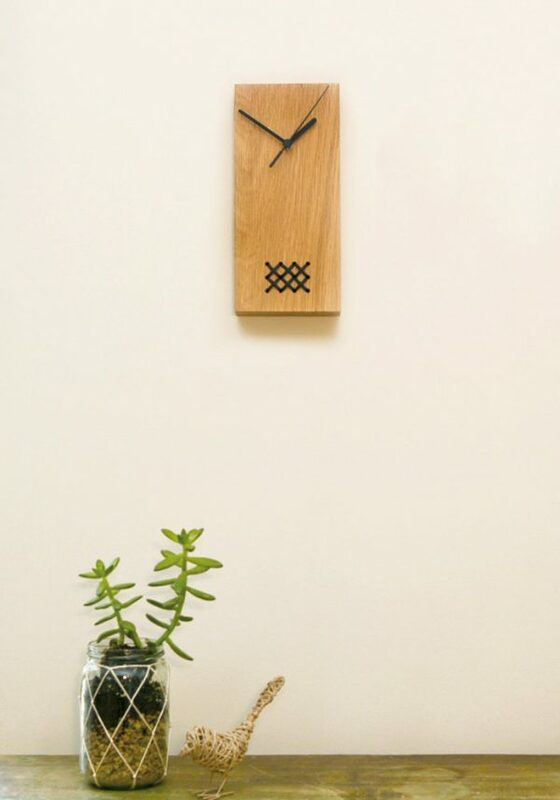 Embroidered Wooden Wall Clock: A simple wooden block with black-thatched detailing complements a Scandinavian interior. 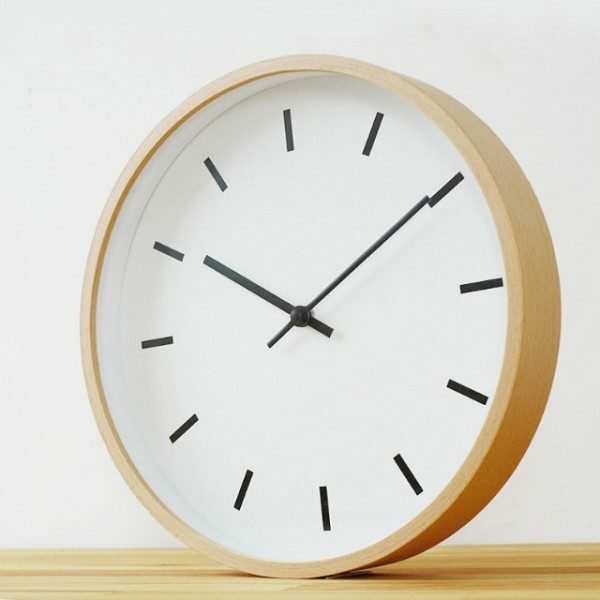 Indented Wooden Wall Clock: Want to symbolise numbers, without actually showing them? 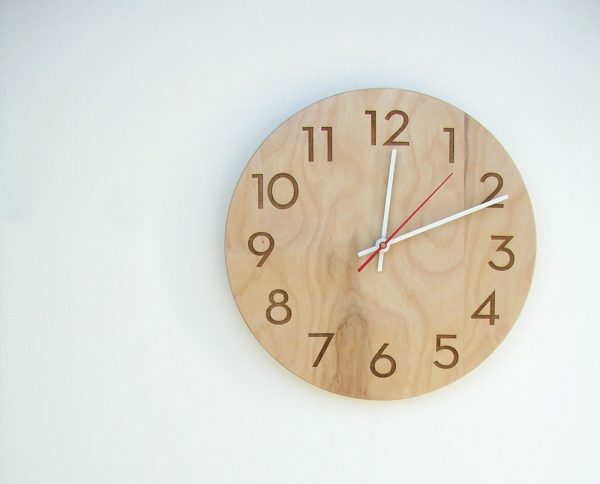 This round design tells you the time, minimalist-style. 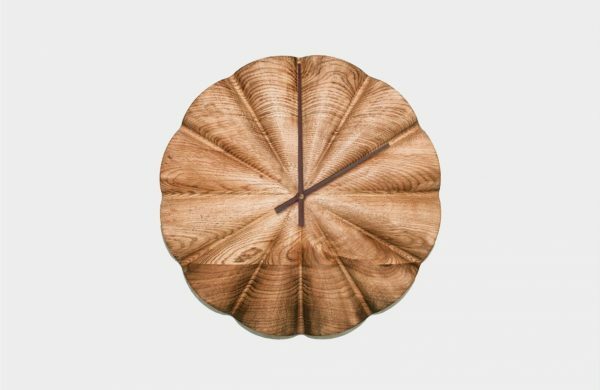 Wooden Clock With No Branding: Brands don’t belong in your kitchen. Tell clock labels who’s boss with this white-labelled classic. Asterix Wooden Clock: Celebrate the Red Hot Chilli Peppers or the French cartoon with this unusual asterix design. 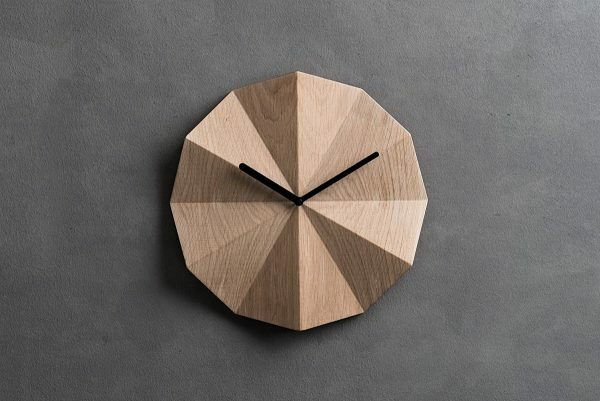 Modern Danish Wall Clock : Can’t pick your favourite wooden shade? 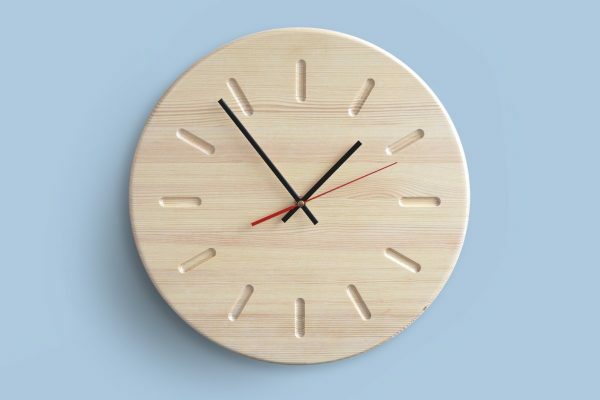 Take three at a time with this Danish-style clock for the kitchen. 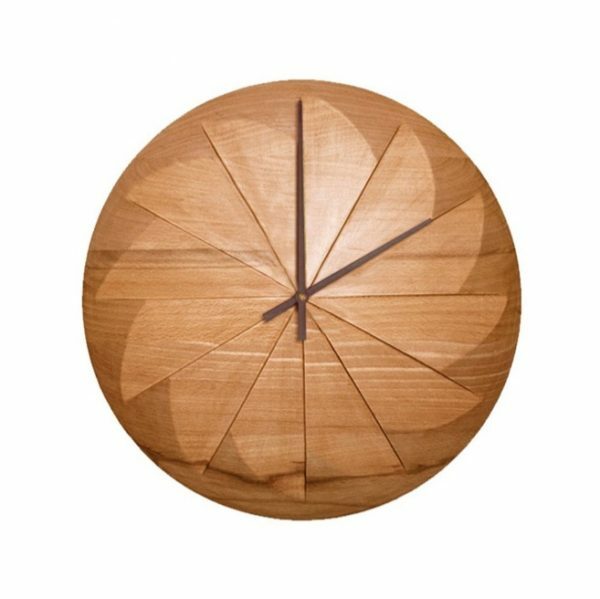 Crushed Leaf Wooden Wall Clock: Walk through crushed autumn leaves everyday with this simple yet beautiful wooden clock. 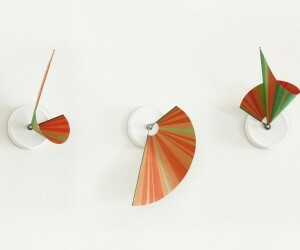 Windmill Fade Wooden Clock: As the hands of time go ‘round, so a windmill turns to resemble a flower. This pretty design would fit a master bedroom nicely. 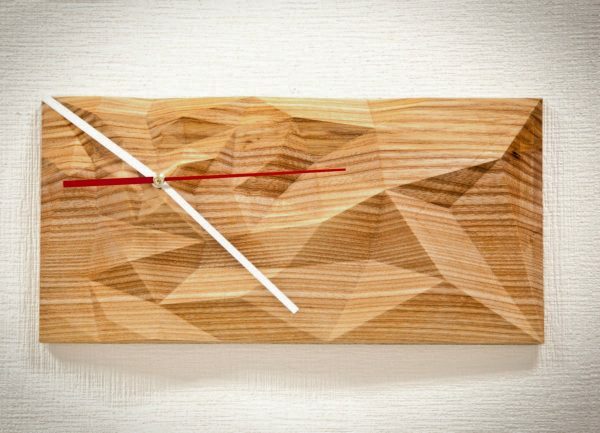 Carved Pattern Wooden Clocks: A beautiful clock brings decadence to a room. Make your bedroom ornate with one of these pieces over the dresser. 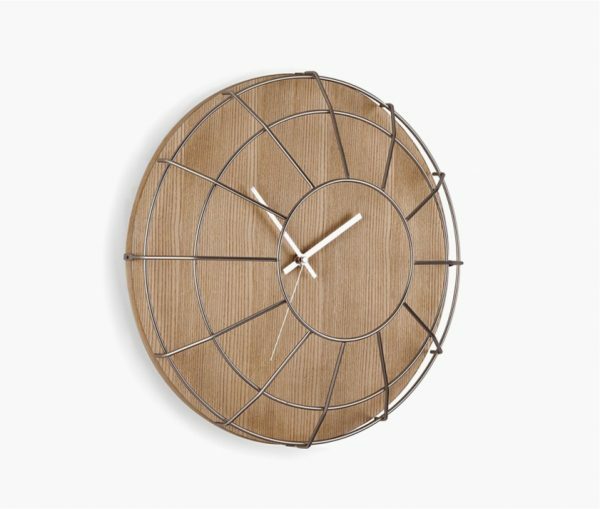 Wood and Steel Grate Clock: Create an industrial illusion with a simple grate on a wooden circle. 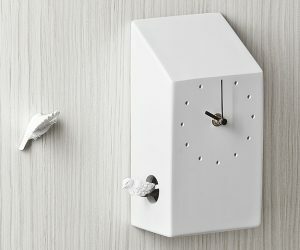 Modern Minimalist Wooden Cuckoo Clock: An oblong housing a cuckoo, this find is one of a growing trend. 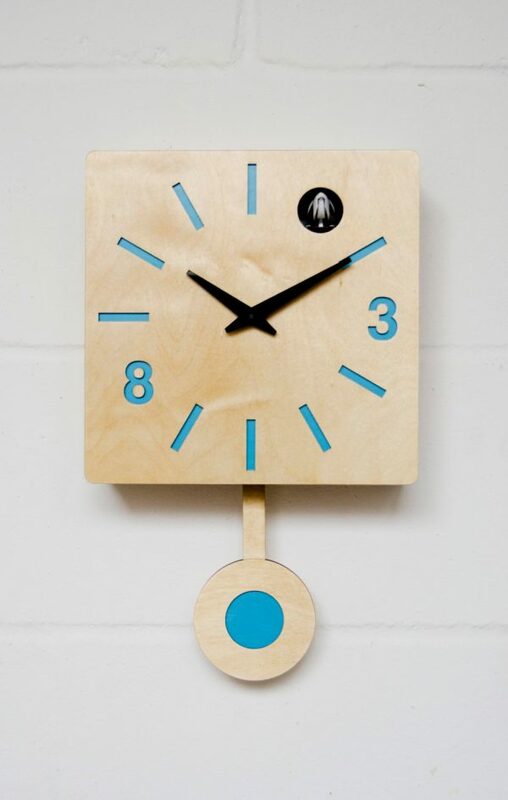 Wooden Wall Clock With Pendulum: Turquoise brightens up numbers and pendulums in this cuckoo design fit for the kids’ room. 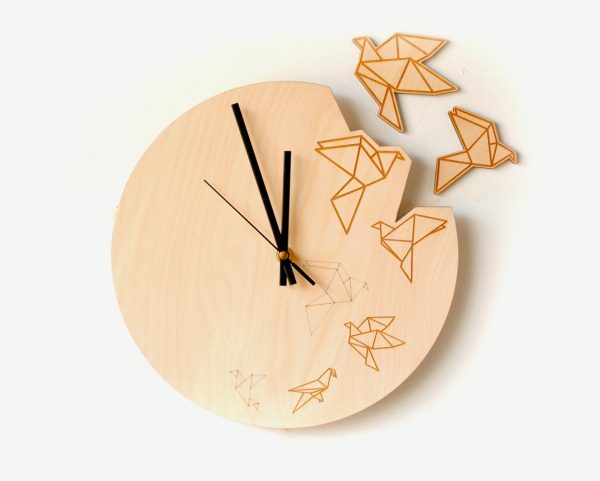 Origami Birds Clock: Time comes to life in this simple, elegant design. A place in the Christmas stocking could please a Japan-mad friend. 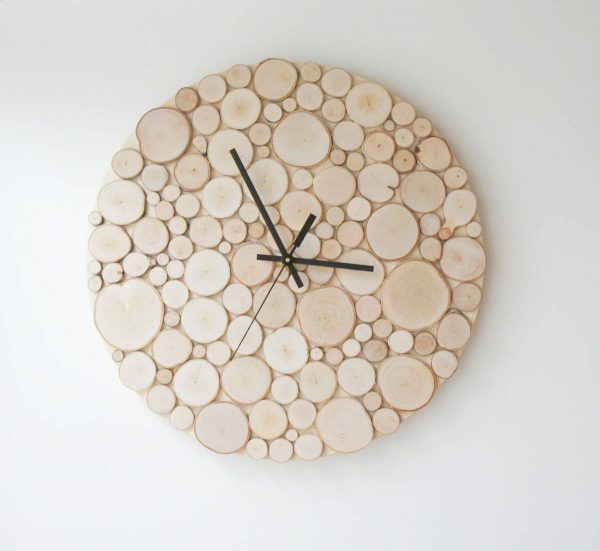 Natural Birch Wall Clock: Experience the luxury of natural wood with this simple design in your living room. 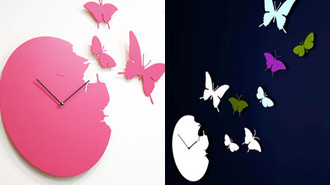 3D Illusion Wall Clock: More artpiece than wall clock, this cube-stack design could build towers in your home office. 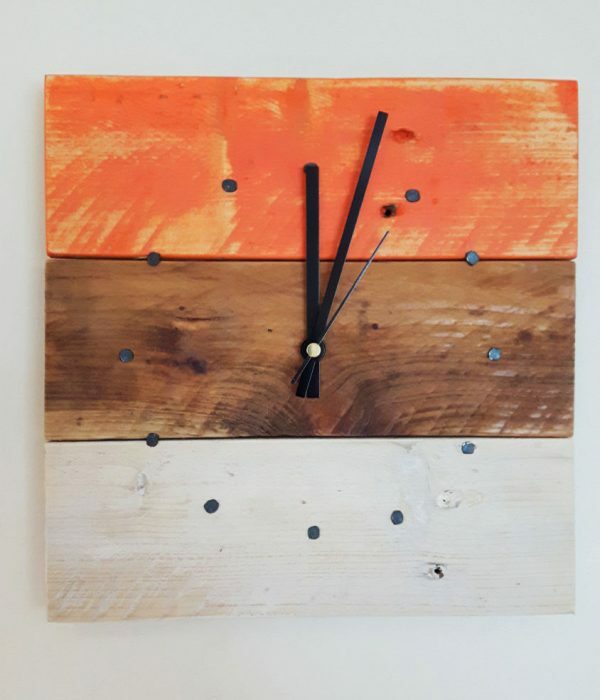 Reclaimed Wood Wall Clock: Read the time and save the planet with this reclaimed gradient clock, a find for the kitchen or bedroom. Shabby Chic Wooden Wall Clock: After something slightly more ‘70’s? This three-tiered piece with nailed numbers brings the rustic to your home. 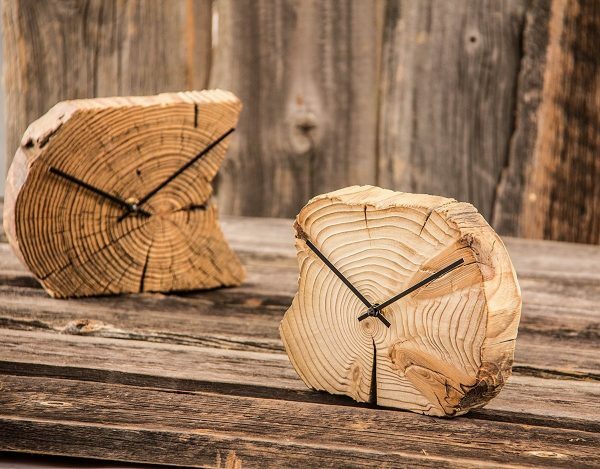 Wood Stump Clock: Rough-shod and natural-looking, an outdoor area would shine with these beauties over the barbeque table. Driftwood Wall Clocks: Easy on the eye and the budget, the sea-side home could bring the outside in with these original driftwood shapes. 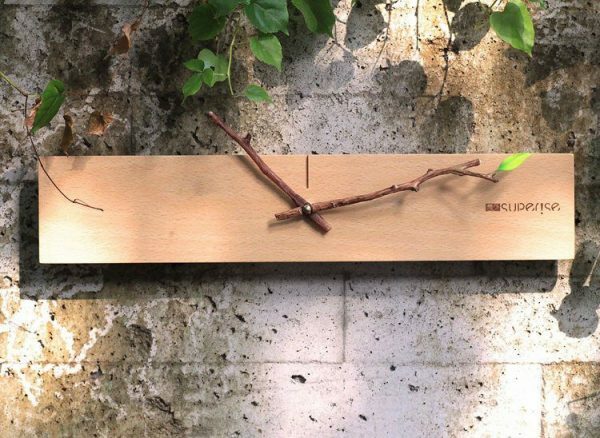 Tree Branch Hands Clock: Delve deeper into the forest with this horizontal design, complete with tree branch. Place it outside your back door to keep an eye on dinnertime. Roman Pillar Wood Clock: Engraved with Coliseum-esque pillaring, this clock in a Roman-style might suit the books in your library. 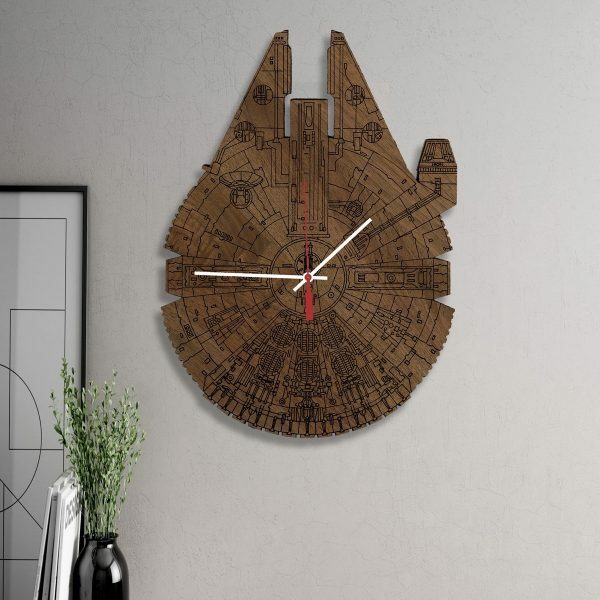 Star Wars Millennium Falcon Wall Clock: Mimicking the Millennium Falcon, this kitschy clock is for a family member mad on Star Wars home décor. 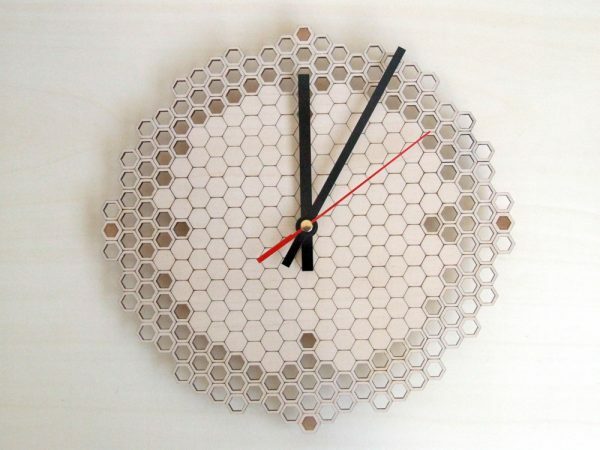 Wooden Honeycomb Clock: Painted white and cut out at the edge, this clock spreads honey over your kitchen area. Light Wooden Bubble Clock: Glorious in light-wood, this bubble-shaped design sits perfectly over a bath. 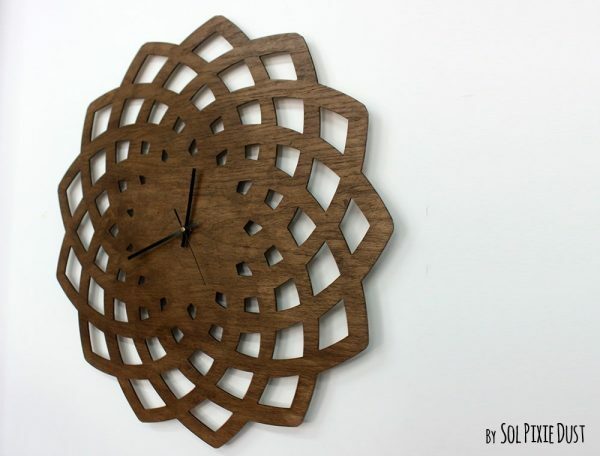 Dark Wooden Abstract Lotus: A symbol of health and good fortune, the lotus can now tell time. Set it in your living room to pretty up white walls. 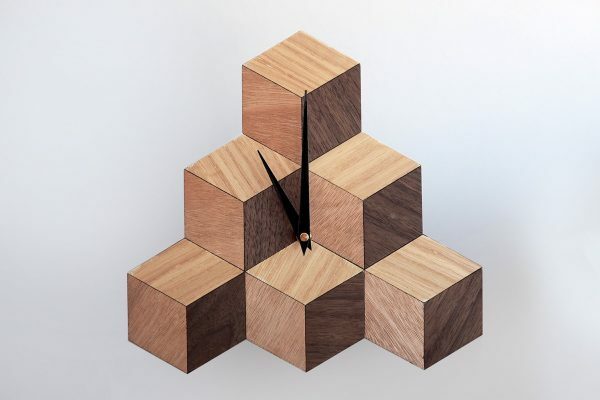 Faceted Geometric Wooden Clock: Stand out from the crowd with this many-edged creation. A place above a wooden bench highlights its charm. 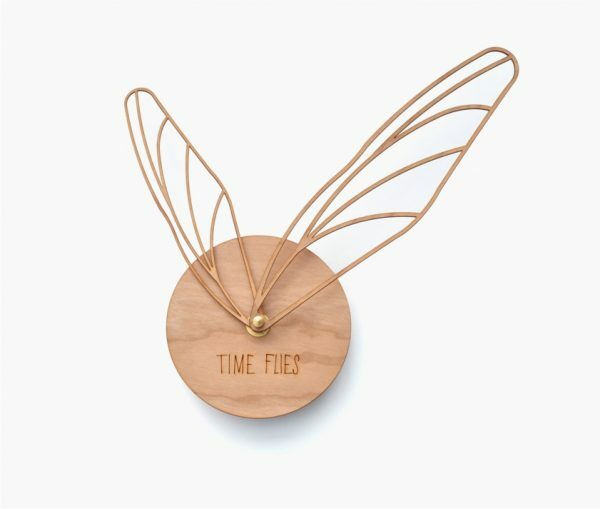 Time Flies Wall Clock: Remind yourself of the best times with this wood-and-steel creation, a perfect day-starter for the bedroom wall. 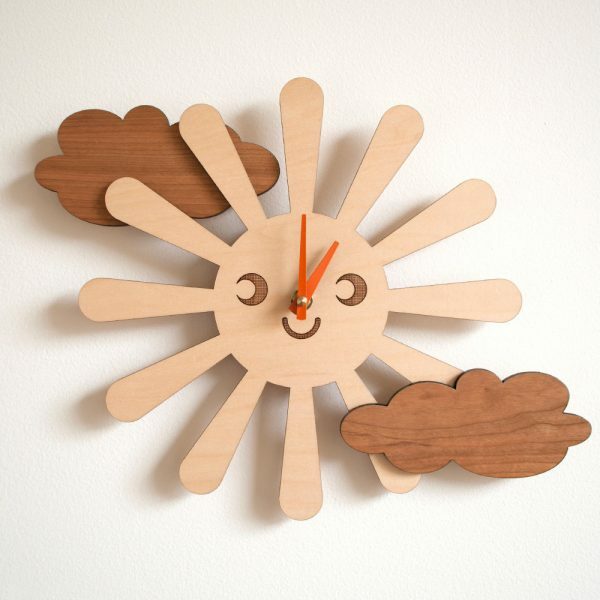 Wooden Kids Room Clock: Brush away life’s clouds with this cute, kids’ bedroom-bound design. 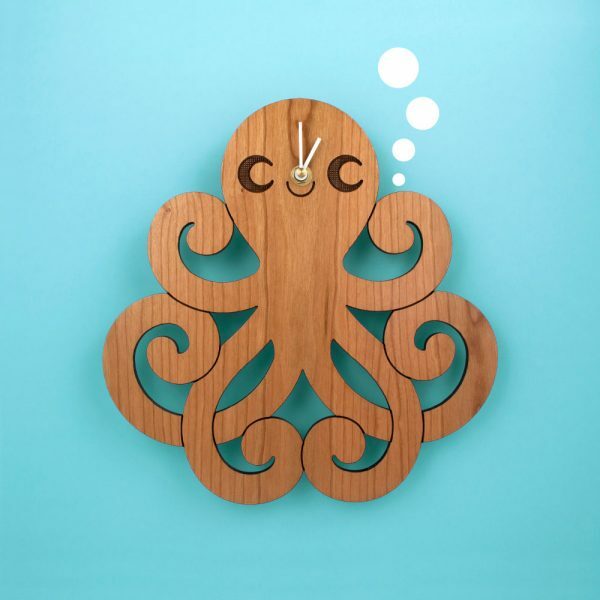 Kids Octopus Wall Clock: A cute octopus clock on the bathroom wall? Not a bother for this prime example of octopus home décor. 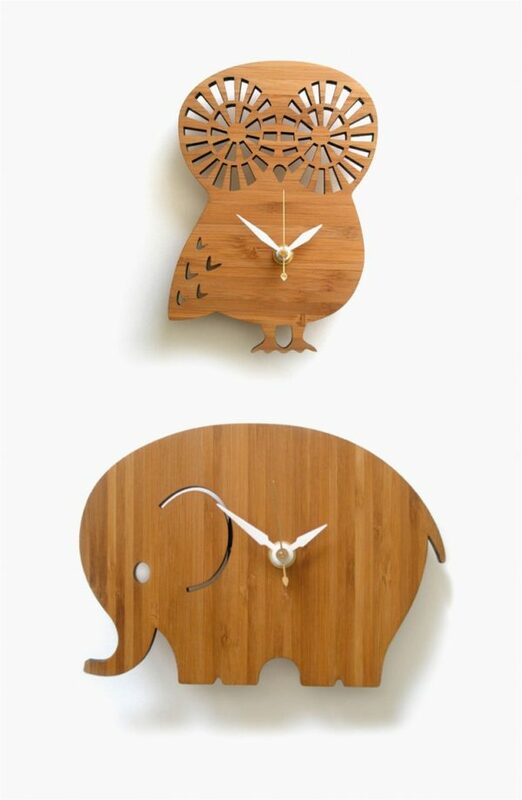 Animal Shaped Wooden Wall Clocks For Kids: Trending owl and elephant home décor is not just for the kids. Your kids will love these wooden creatures – and you just might, too.